Hello! Got another dope artist to share with everyone. Or should I say the two of you who read this HAHA. Abra was born in Queens, New York, raised in London to finally moving in Atlanta when she was eight years old and where she still resides to this day. Her family of missionaries moved a lot, and being known as the “new kid” all the time made Abra feel like an outsider. Despite this she was able to find herself through music which made her feel understood and included. This inspired her to learn how to play the guitar and write. Abra grew up and began writing and producing all her music, which she still does to this day. Her music captured many people’s attention and she was picked up quickly by a record company close to her home. She is currently the only female and R&B singer signed to the Atlanta based Awful Records collective. Her addition to the tight knit rap label had an effect on her sound. Abra found herself anxious that her sound wouldn’t appeal as much to those who listened to music coming out from Awful Records. Nowadays, you can hear a more pop-synth sound in her music. Its great in my opinion and great to dance around to. Yeah I dance around a lot, so what? 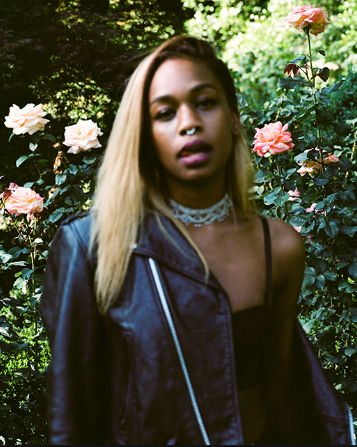 Abra has released two EP’s with Awful called BLQ Velvet and Princess. You can check out her music for free on her BandCamp page. Just as Awful has had an effect on Abra’s life and music, her place in the record group will probably open the opportunity to sign more female muscians, rappers and singers. Yay for females! Bringing you your weekly dose of music and feminism. Catch me Thursday's on "The Eargasm" from 8 pm - 9 pm and on KCR's music blog for MUSICOLOGIA FEMINISTA.